You get to eat and look your best doing it. Eating fat is one of the best ways to get you glowing. Your body needs essential fatty acids (EFAs) AKA Omega 3 and Omega 6 to produce certain cells in your body. Your body can’t produce these fatty acids on its own, so you need to help it out by eating them. Salmon is a great source of fatty acids, making it one of the best beauty super foods. Salmon will do wonders to your skin and hair. 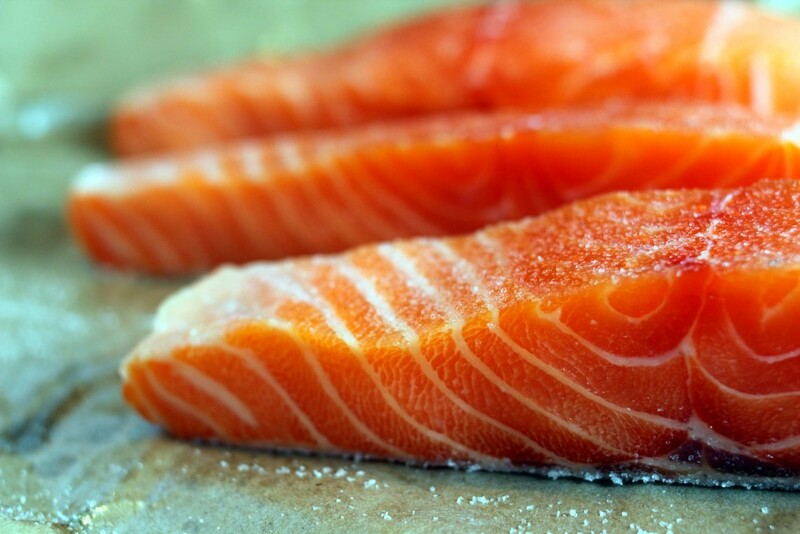 The fatty acids in salmon are what your body needs to produce sebum, which makes your skin hydrated. If your skin isn’t properly hydrated it will either produce too much oil or not enough. This will result in dry skin, breakouts, and sensitivity to sun — things we don’t need. These oils will work double time by providing moisture to the scalp and increasing the healthy oils in the glands resulting in shiny beautiful hair. Bonus points: These oils are also anti-inflammatory, so they will lower chemicals in the body that cause inflammation and hormonal imbalances. 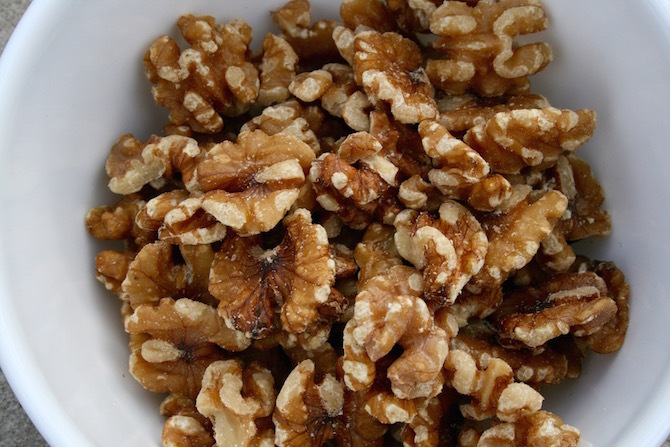 Walnuts are another fabulous fat that will get your skin looking great. Walnuts have a special form of Vitamin E found in them, which is called the gamma-tocopherol form. This form of Vitamin E has been found to be especially good for skin health. Vitamin E is an antioxidant that stops the fats we eat from forming into free-radicals (for those of you wondering what free radicals are, check this out). This is amazing because free-radical damage is what eventually causes your skin to age which means hello wrinkles. #Spoontip: Since Vitamin E is a fat-soluble vitamin, you will absorb more of it if you eat it with food containing fats (walnuts). Why were Greek gods thought to be so beautiful? Because they ate a lot of olive oil. So pretty much if we eat olive oil we will all be just as beautiful as the gods. EVOO (extra virgin olive oil) is a mono-saturated fat. Take a look to see if you are buying the best olive oil. Okay, so we all hear about the different types of fats and some are good and some are bad, but EVOO is a mono-saturated fat which is great for you so don’t freak out at the name. Like Salmon, EVOO is very hydrating and great for dry scalps because it’s so nourishing. 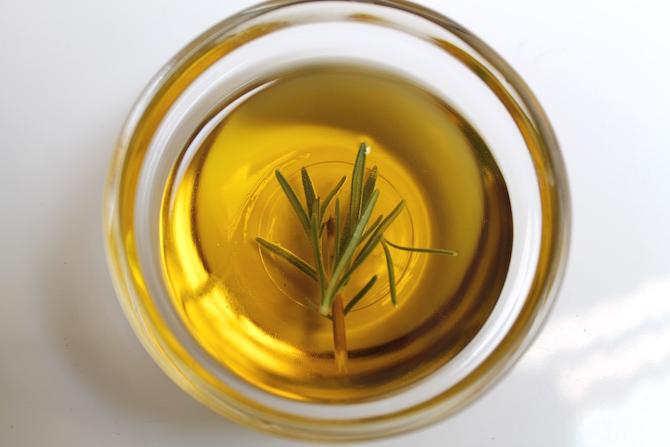 Fats like EVOO are also great for hormonal imbalance, which can be a root cause of dry and damaged hair (pun intended). Olive oil is so great because it contains oleic acid and oleocanthal, two nutrients that protect against inflammation. Oleic acid is believed to protect against free-radical damage (like walnuts) and do a bunch of other stuff that won’t necessarily beautify you, but are pretty cool. Oleocanthal is the other key antioxidant in olive oil, so it will help fight free-radical damage, is also known to work like ibuprofen as an anti-inflammatory drug, and supposedly kill cancer cells. Green tea has been around for decades and has stayed around because of its numerous benefits. 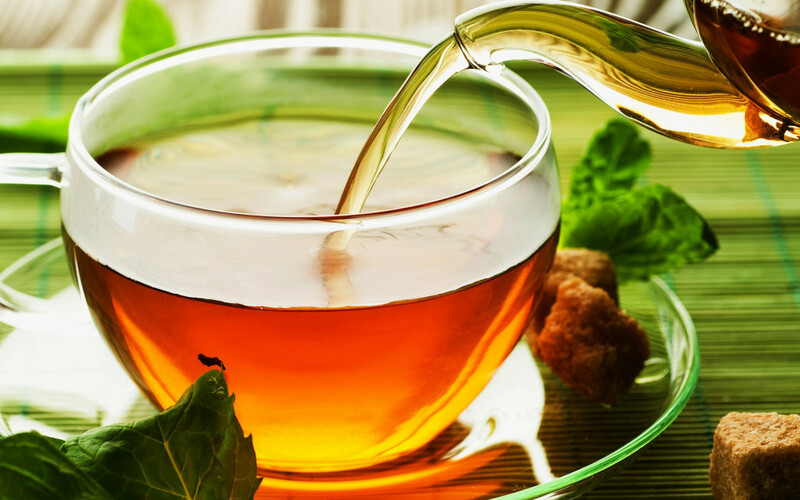 Green tea contains catechins, which are antioxidants that have anti-inflammatory and anti-cancer properties to them. Now if that isn’t enough to get you to drink more green tea, here is even more info on it. Research has found that these chemicals in green tea protect the skin from cancer caused by the sun. So pretty much you can protect yourself from cancer and fight free radicals all at once by sipping on some green tea #holla. EGCG is one of the main active components in green tea, which has been shown to protect from cellular damage caused by free radicals. It can also reduce inflammation, which is one of the main causes of acne, eczema, and inflamed skin. Who doesn’t love berries? They are the perfect combination of sweet and tangy and not to mention they’re healthy for ya. But did you know they are also rich in antioxidants? These antioxidants protect your cells from damage and put a hold on premature aging. Berries are also a great source of anthocyanidins, which have a positive effect on collagen. 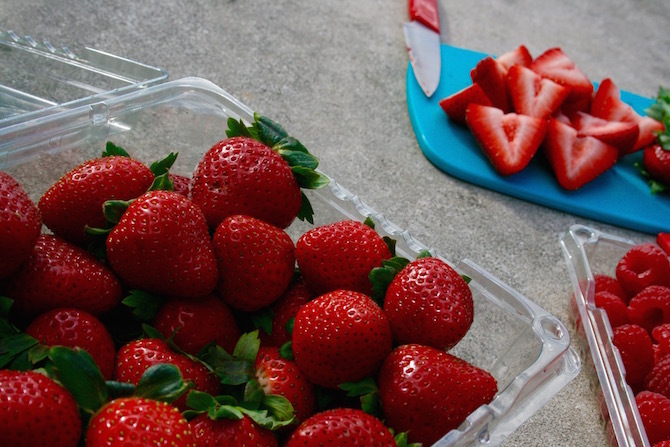 Sun-rays can degrade collagen leaving your skin wrinkled… So eat some berries and you’ll look forever young. Sweet potatoes are the bright orange color they are because of beta-carotene. 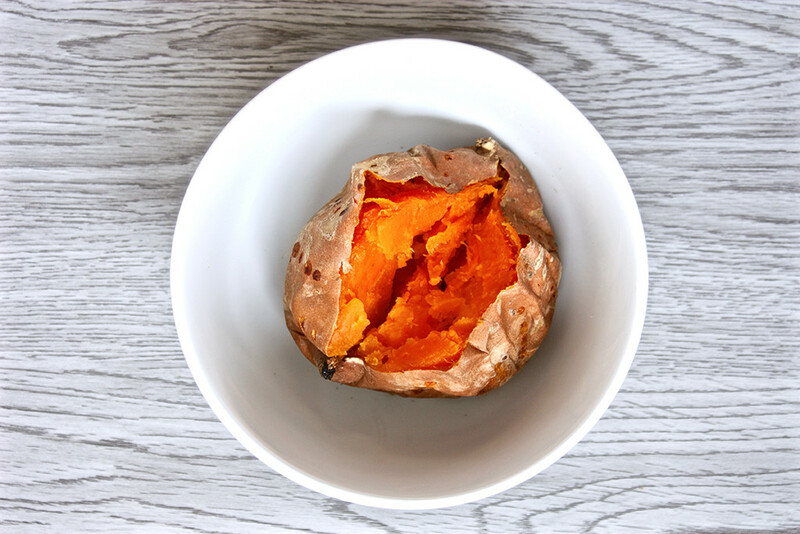 Sweet potatoes are a great source of this nutrient, which is a precursor to Vitamin A. This is awesome because Vitamin A, sometimes referred to as retinol, can prevent wrinkling, increase collagen production, manage acne and eczema, along with improving discolorations from sun damage. So swap out those regular fries for some tastier and beautifying sweet potatoes fries. #SpoonTip: Carrots are also super rich in beta-carotene.